Few businesses can resist allying themselves with a good cause, but it's all too easy for brands to get it wrong. A company can’t market a fizzy drink or a car these days without also trying to save the whale or end intolerance – or so it seems, with cause marketing having been transformed from a niche to a truly mainstream pursuit for brands and organisations. Look no further than this year’s Cannes Lions, where 15 of the 25 Grands Prix-winning campaigns linked directly with a good cause. 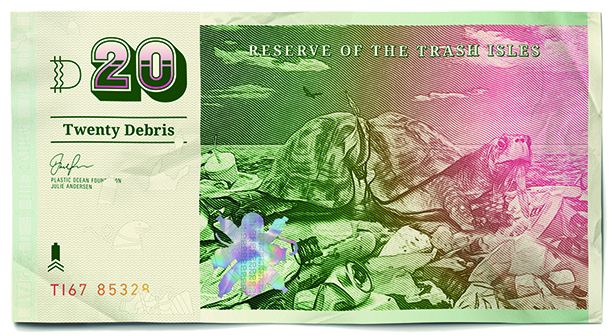 The PR Lions winner, ‘Trash Isles’ (below) for the Plastic Oceans Foundation, focused on encouraging the UN to recognise a huge accumulation of rubbish in the ocean as a country to highlight plastic pollution. Against this backdrop, earlier this year PRWeek and sister titles Campaign and Third Sector launched the Campaigns for Good Awards, which recognise the best cause-led campaigns from different sectors and disciplines. PRWeek spoke to judges and shortlisted entrants to gauge their views on the genre. Judging panel chair Sue Tibballs OBE has a good perspective on how the landscape has changed. Now chief executive of social change and campaigning support charity The Sheila McKechnie Foundation, among Tibballs’ previous roles was leading The Body Shop’s global campaign on body image from 1997 to 2000. Cause marketing has "changed beyond all recognition" since those days, she says, when The Body Shop was a "real outlier". "Companies [are] undoubtedly thinking much more deeply about their social role and impact, moving beyond what used to be the model of CSR, which was the arm’s-length act of philanthropy to a charity," Tibballs explains. "You wouldn’t consider it part of your own business role to change what you did, but you would gift proceeds to a charity partner. That’s shifted." It’s also a response to the growing prominence of campaign groups such as #MeToo and Black Lives Matter in the mainstream. "It’s not enough to do a campaign about yourself any more," argues Ketchum London associate director Alexandra Marsh. "Brands must show that they’re aware of and comprehend the issues impacting society and that they’re part of the solution." Frazer Gibney, chief executive of FCB Inferno and chief growth officer for FCB EMEA, agrees. "The truth is that social purpose is so powerful because consumers demand it," he says. "The whole world seems to be developing a conscience – which is a great thing – and consumers see through shallow brands that lack meaning, seeking out genuine authenticity and purpose instead. The Edelman Trust Barometer tells us that 80 per cent of people are looking for companies that make a profit alongside doing good for the community." Gibney adds: "Brands in a congested category can use purpose as a way to stand out and be salient in their sector." Brian Tjugum, managing director, Social Impact EMEA at Weber Shandwick, attributes the change to two major factors. "One is a greater recognition by a greater number of people that complex social and environmental challenges – the scale of which are so huge – just cannot be tackled by a single sector. You used to rely on government, with the social [partly non-profit] sector chipping in a little bit," he says. "But I think there is an increasing acceptance that the private sector really has an important and crucial role to play in tackling these challenges, increasingly through multi-sector collaborations." The second reason is the direct impact on brands themselves. Tjugum believes customers will pay a premium for brands and products they feel deliver benefits to society, while employees increasingly want to work for organisations with values they believe align with their own. And, intriguingly, shareholders now expect corporations to focus on "non-financial returns". Tjugum cites investment-management firm BlackRock as an example; earlier this year it said that it won’t invest in businesses unless they can explain how they plan to deliver social impact. It all points to a change in mindset about the business case for cause marketing, Tjugum argues. Two or three years ago, proof of a financial incentive would be expected for a cause-driven campaign to get sign-off, he says. This is much less prominent now. High-profile research from the Harvard Business Review in 2016 found a strong correlation between companies that invest in delivering social or environmental impact and their financial performance. It’s a trend born out by Unilever, which in 2010 adopted its Sustainable Living Plan – designed to fuel growth while reducing its environmental footprint and boosting its positive social impact. In May, the company released figures showing that its ‘sustainable living brands’, which include Hellmann’s, Dove and Ben & Jerry’s – it has 26 of these brands and counting, up from 18 in 2016 – significantly outperformed the rest of the business, growing 46 per cent faster. "It feels like this ethos is being more widely adopted and accepted, and this is just the way forward," Tjugum says. "Companies are thinking: ‘We want to see a strong performance, but our shareholders are also asking us to understand what we’re doing to address climate change, what we’re doing to address our carbon footprint, [and] what we’re doing to ensure those involved in our supply chain are having a fair income.’"
Not everyone gets cause marketing right, of course. Recent attempts by big names including Pepsi and MasterCard have fallen flat. So what makes a good cause-led campaign? "A good campaign is something that captures the consumer’s imagination, grabs their attention and encourages them to get involved, so there needs to be a focus on participation and not just communication," says Gibney. "Although this is true of all marketing, it is particularly crucial for cause-led campaigns." W executive creative director and Campaigns for Good judge Mark Perkins agrees that campaigns can’t rely solely on the strength of the cause. "In an age of 24/7 news, an endless stream of content and an ever-shortening attention span, you have to use creativity, wit, empathy and storytelling to grab the attention," he says. "Broadcasting the facts and numbers about a cause or issue isn’t enough. It leaves individuals feeling helpless, that they can’t make a difference when faced with an overwhelming problem. The best campaigns found a clever and original new approach to present the issue on a human level, with an emotional trigger and a simple call to action that turned audiences into participants with impact and demonstrable change for good." The need for cause-led campaigns to feel authentic is crucial, Gibney stresses. "The general public can spot ‘bolt-on’ branding a mile off. Brands should live their social purpose in everything they do, not just through communications." On this point, Tjugum stresses the importance of ensuring that purpose is "embedded in your business strategy, so you can’t then be criticised for tokenism or greenwashing". 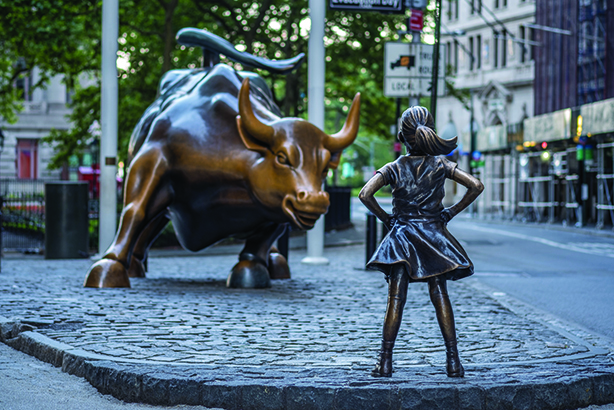 Arguably the success of 2017 Cannes Lions PR Grand Prix-winner ‘Fearless Girl’ (below), which installed a sculpture of a defiant child on Wall Street, staring down the famous (and much larger) bronze stock-market bull, was undermined when client State Street Global Advisors was accused of paying its female staff less than their male counterparts. Tjugum points to MasterCard’s recent and infamous ‘goals-for-meals’ campaign with the World Food Programme as one that missed the mark spectacularly. "It was completely tone-deaf, completely lacking any understanding of the cultural environment around it," he says. Meanwhile, Marsh says research and insight are crucial for making good-cause campaigns a success. Before undertaking ‘#bloodnormal’ for Bodyform/Libresse, Ketchum surveyed 10,000 people to gauge the extent to which periods are not discussed in mainstream culture, which formed the basis of the campaign. 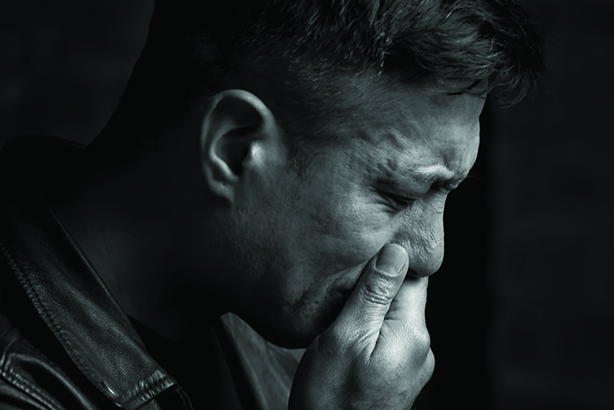 ordinary behaviour at stations, as intervening can interrupt a vulnerable person’s suicidal thoughts. "This is a huge ask," says Helen Pattison, head of business development at PR agency Pegasus, which worked on the campaign. "But [it’s] one made easier by conducting research among this rail-traveller audience to better understand the current barriers to intervening and the triggers that would give them confidence and knowledge about when to act." Gibney says successful cause campaigns need to be "relevant to the core business". He cites FCB Inferno’s ‘Project Literacy’ for education publisher Pearson as an obvious fit. The much-lauded ‘Campaign for Real Beauty’ for personal-care brand Dove is arguably another example. Others are less clear-cut. Last year’s ‘Boys Don’t Cry’ campaign, for Lynx (main image), in which men discussed the last time they cried, doesn’t explicitly relate to the product, but nonetheless chimes with its target audience and was an effective way of shifting perceptions of the male-grooming brand. Tjugum’s point that brands are increasingly taking on roles previously held by public bodies is producing some interesting results, meanwhile. 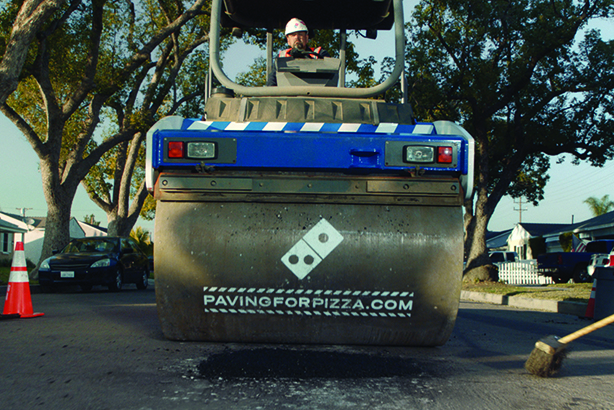 Domino’s took the idea to its logical conclusion earlier this year by helping to fix potholes in selected US towns using a vehicle emblazoned with the pizza chain’s logo, in a partnership with local government authorities. The ‘Paving for Pizza’ (below) marketing spiel was that reducing potholes helps prevent pizzas arriving damaged on delivery. Tibballs is not convinced, however. "My guess is that it cost less to fill in potholes than to buy advertising that is cause-related. What it gets is masses of PR for relatively small spend. That’s just shrewd. Is it the right thing to do? Almost certainly not. I don’t know the details, but if you seriously thought [about] what it cost to maintain the roads, Domino’s must be making a tiny contribution." Tjugum is less critical, however. "If it’s a stunt that’s providing a meaningful service that the local residents feel has value, and that the local government isn’t delivering, good on [Domino’s]. It gets earned media out of it as well. If it’s a stunt that is purely a stunt, and isn’t authentic or core to [the company’s] organisational mission, then I don’t have much truck with that." "Cause-led marketing can no longer be simply a badge that companies wear to look good and further their own objectives," Pattison concludes. "Instead it needs to be the authentic manifestation of everything its audience holds dear, and ultimately demonstrate genuine social impact. The prize, when it is done well, is seeing an increase in trust, relevance, retention and even sales, while ultimately making a significant impact for the specific cause."